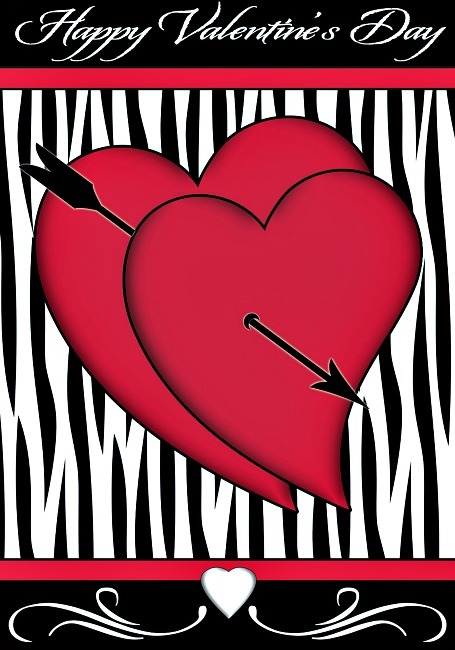 Cupid'.s Arrow Valentine Mini Flag. Measures 12" x 18". Fine Art Flags printed on 300 denier polyester for the best possible image reproduction and weather resistance.